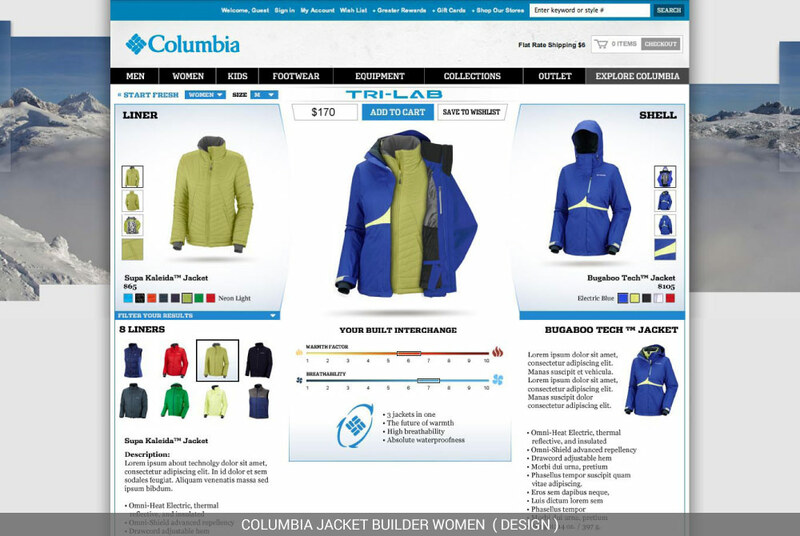 Interchange jackets were trending, and Columbia had interchange jackets. 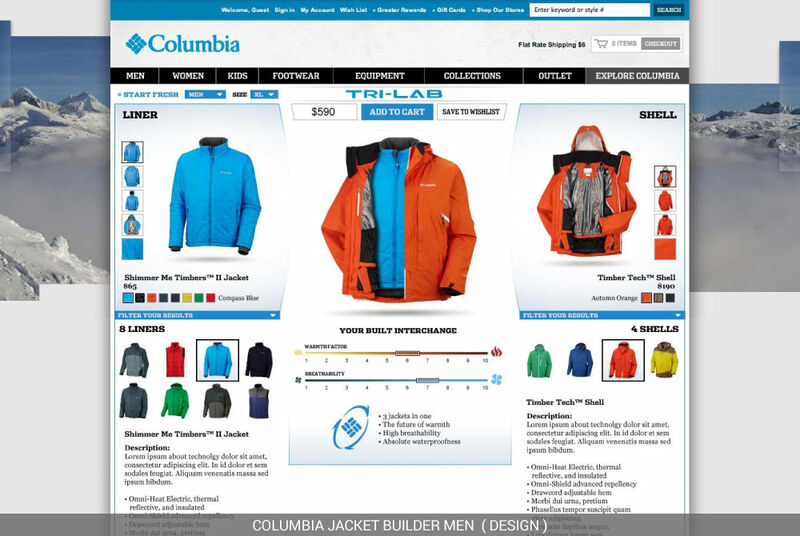 In fact, Columbia’s first jacket—the Bugaboo—was an interchange jacket, and by now Columbia had many. However, hardly anyone knew that. 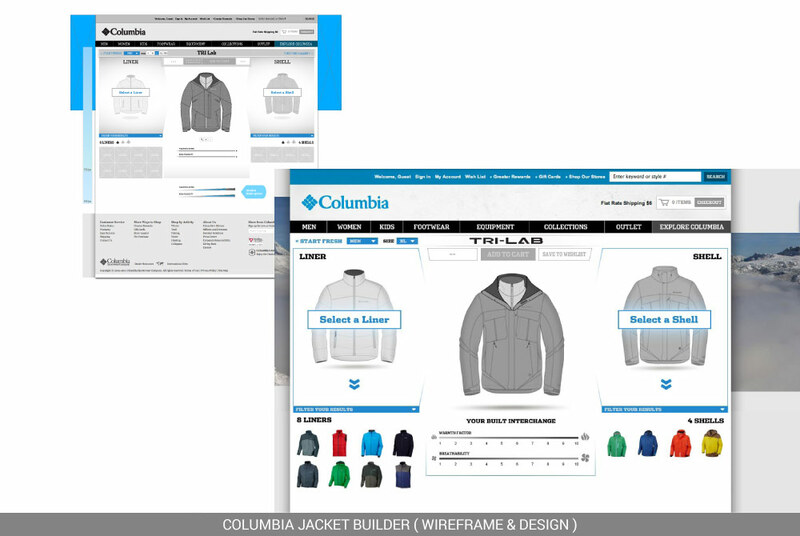 To build awareness of the interchange jackets and increase online jacket sales, Columbia decided on an incentivized, online-only promotional campaign. 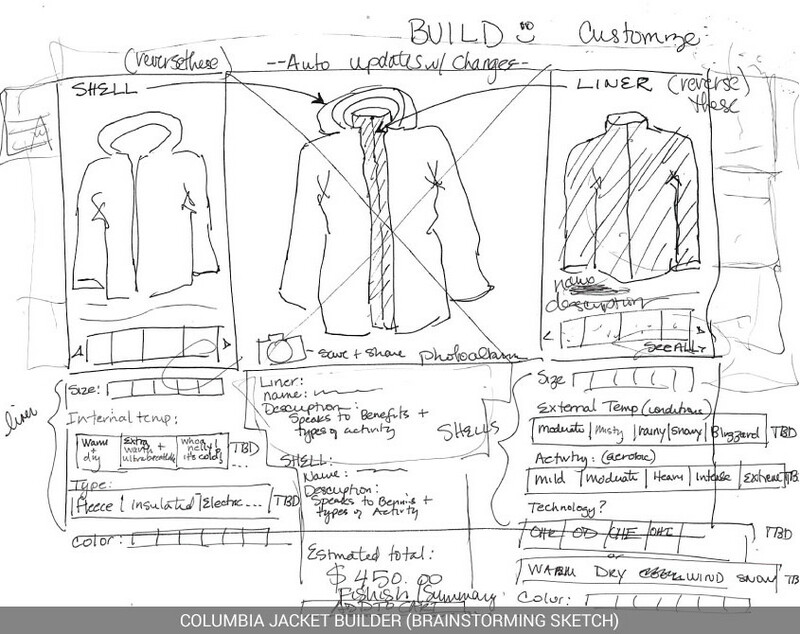 eCommerce was asked to find a compelling way to tell the interchange story on desktop computers, mobile phones, and tablets—and also on kiosks, which customers could use in Columbia’s brick and mortar stores). 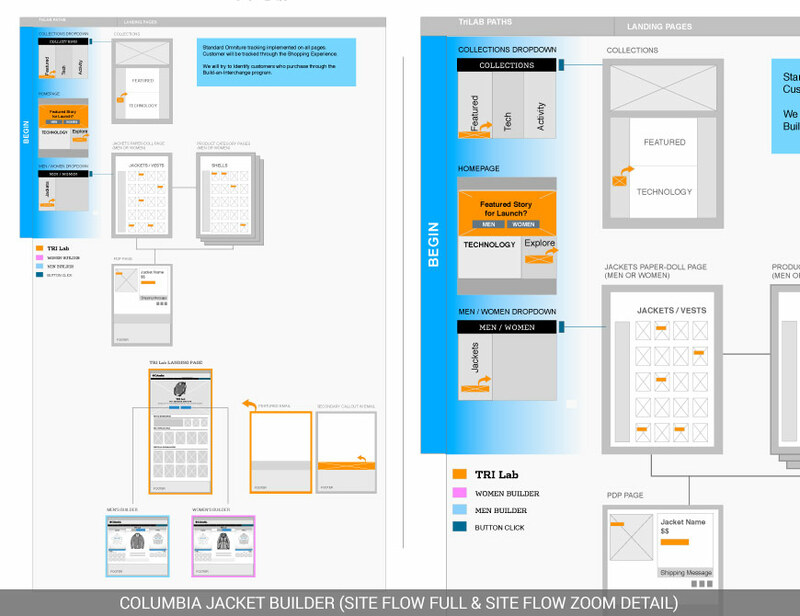 I participated in ideation, executed wireframes of various fidelities, partnered on on usability testing, and co-designed the site. Alas, the campaign failed because the cost-saving incentives were removed and there weren’t enough product choices (e.g., women could “choose” only one shell.) 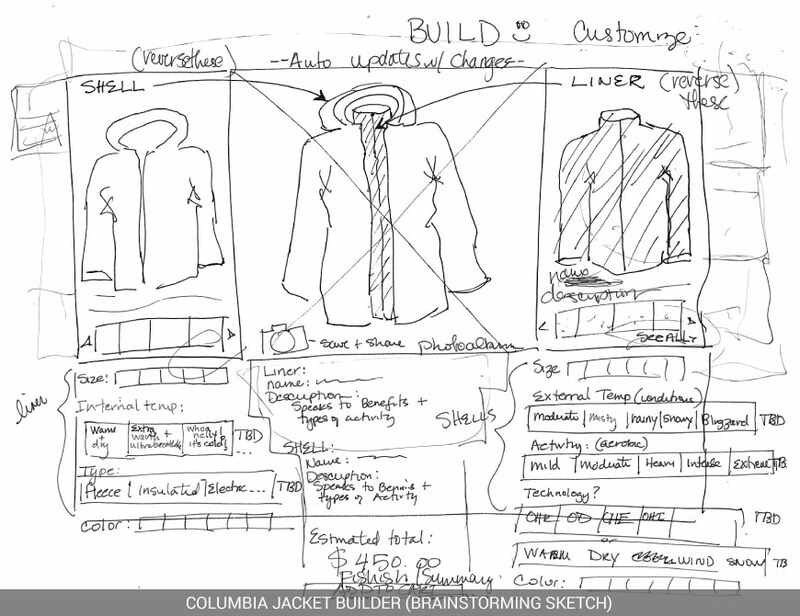 However, our Jacket Builder was very successful. 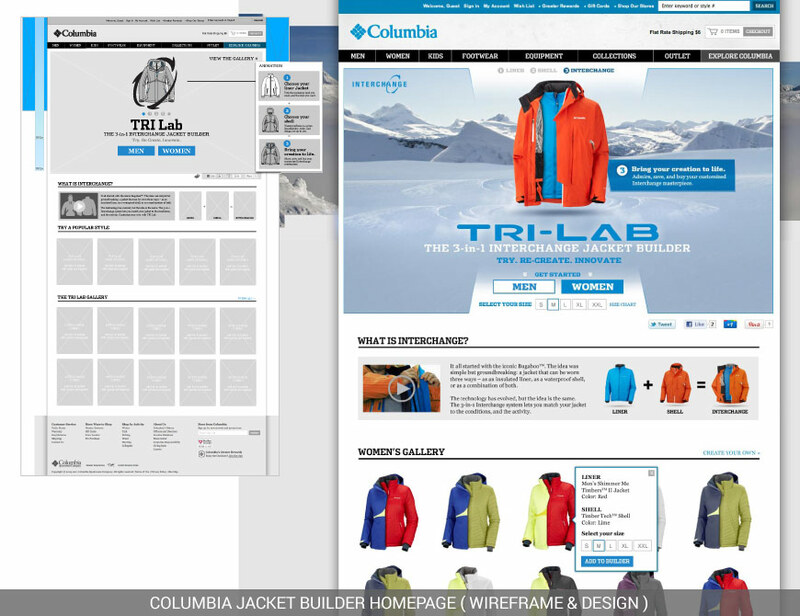 We had tested a bunch, reflected user feedback in the design, and our customers really enjoyed playing with it.